Absolutely gorgeous, this exceptional Millinery Flower Bridal Crown is made of soft Cream White Velvet Flowers. 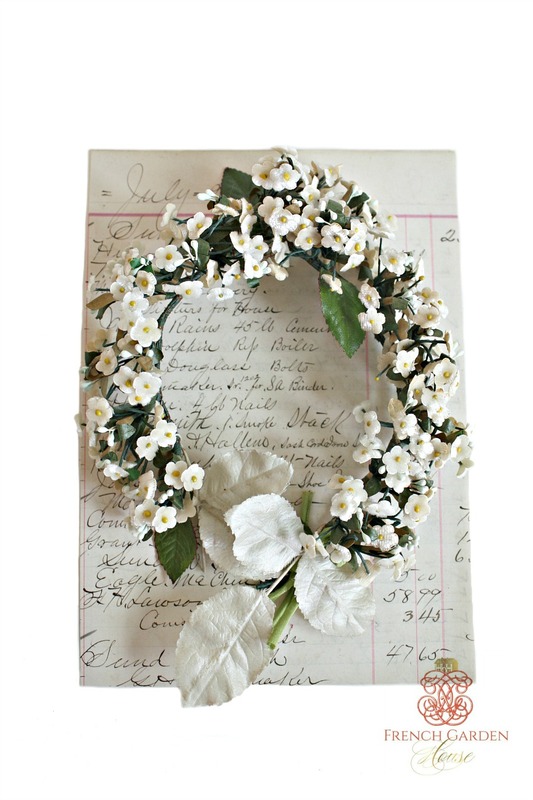 The most magical flowers outside of a garden, this wedding crown has little bunches of petit fleurs all around, the two ends feature white larger leaves, perhaps to hide the pins used to attach this to a veil or your hair. Express your own individual style with great flair, this is a fabulous decorative addition to your vinatge and antique collection of millinery flowers and bridal tiaras. This can be arranged to suit your hairstyle or be adjusted to the size of your head. Please do this carefully.